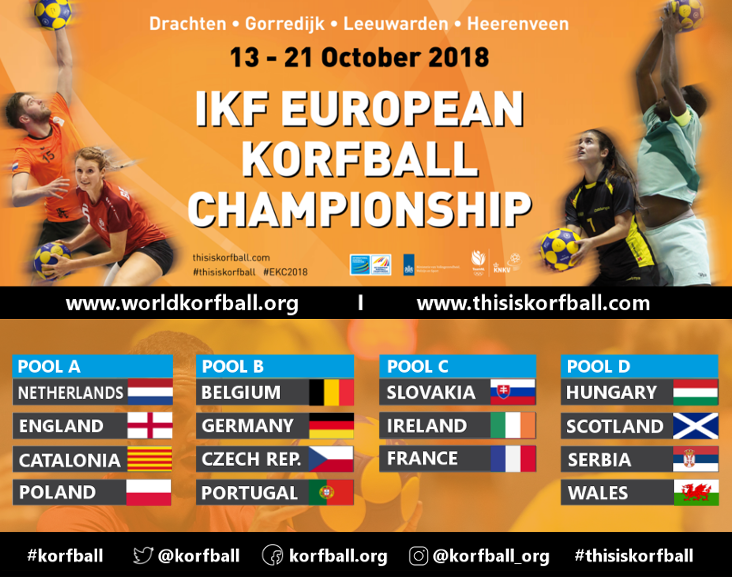 The next IKF European Korfball Championship (IKF EKC) will take place from Saturday 13 till Sunday 21 October 2018 in the Netherlands in the cities Drachten, Gorredijk, Heerenveen and Leeuwarden; all in the northern province Friesland. This IKF EKC will be competed between 16 national senior teams. 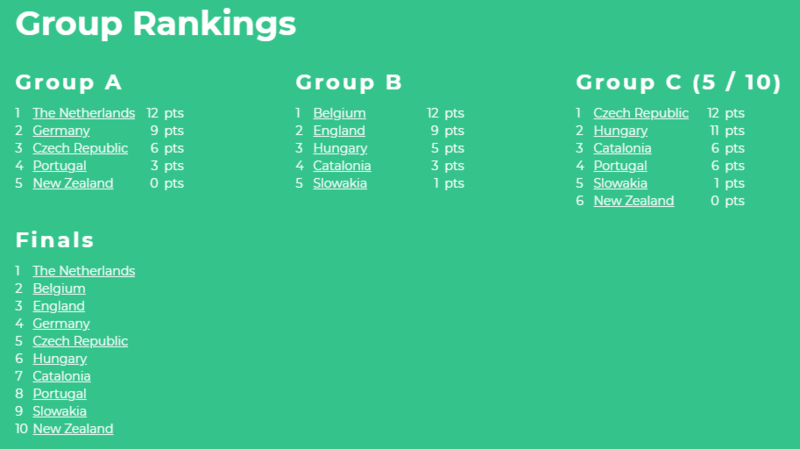 (*15 teams after the late withdrawal of Turkey). The first two matches will start Saturday 13 October in Gorredijk and Drachten. The Royal Dutch Korfball Federation (KNKV) will be the organiser for this major European event in 2018. The Netherlands are the 20th U17 Korfball World Cup champions! 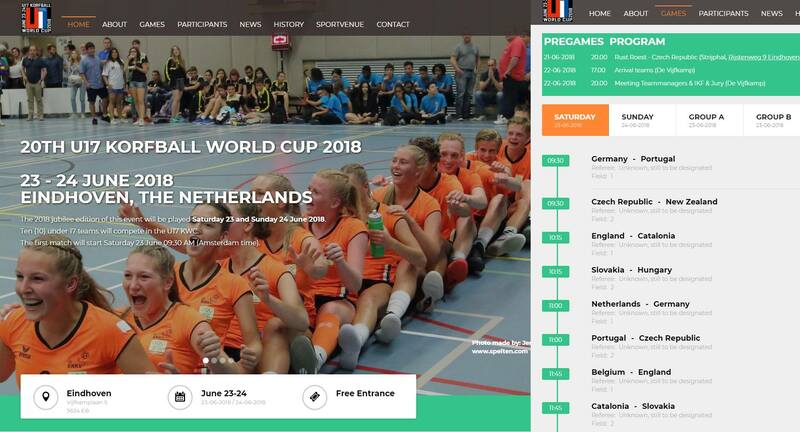 The 20th U17 Korfball World Cup has its 2018 champion: The Netherlands! In a very interesting match, the Netherlands was able to win with extreme difficulty the Belgian team. In the first half, Belgium took the lead (8-9), but the Netherlands still managed to reach a 22-17 final score. The Bronze medal game ended in favour of England, after beating Germany 14-10. Both games were live webcasted on IKF Youtube channel (check below to watch these two final games). All results, games statistics, reports and other related info are availableon the official website and social profiles of the tournament. This event organized by KNKV, DSC, Rust Roest, PSV and patronized by IKF. The 20th U17 Korfball World Cup (U17 KWC) will take place in 2018 in Eindhoven, The Netherlands in Sportvenue De Vijfkamp, Vijfkamplaan 5. The ongoing growth of this youth event made it necessary to look for another venue after many succesful years in Schijndel. We thank the organisers in Schijndel for their hard work and commitment. The 2018 jubilee edition of this event will be played; Saturday 23 and Sunday 24 June 2018. Ten (10) under 17 teams will compete in the U17 KWC. The first match will start Saturday 23 June 0900 AM (Amsterdam time). Event organized by KNKV, DSC, Rust Roest, PSV and patronized by IKF. Saturday 7 April 2018 we will have the Dutch Korfball League final in the Ziggo Dome in Amsterdam. We are happy to be able to show this LIVE in the ikfchannel on YouTube again. Around 11,000 spectators in the venue will create a sportive atmosphere. You may be able anywhere in the world to follow this LIVE. Referee will be Marcel Luttik, assistant referee Joeri Kok. The IKF General Meeting will take place Sunday 20 August 2017 in The Hague, The Netherlands. The opening address by the IKF President, Dr Jan Fransoo, will be 9:00 AM (GMT + 1). The venue is open for registration as of 8:15 AM. The IKF Congress will take place Saturday 19 August 2017 in The Hague, The Netherlands. The IKF Congress will start 9:00 AM. The venue is open for registration as of 8:30 AM. The International Korfball Federation has been informed of the passing of Mr Jaap Oud, holder of the IKF Badge of Honour, on 4 August 2017 at the age of 80. 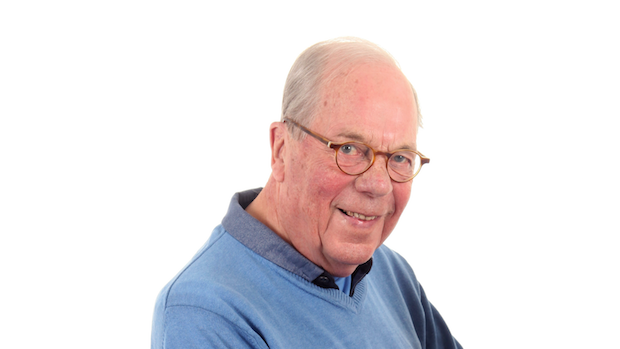 Jaap Oud served in the eighties and nineties of the twentieth century over more than a decade the Royal Dutch Korfball Federation (KNKV) as vice-president. When he stepped down in 1993 he was appointed KNKV Honorary Member. After that period he became member of the first IKF Committee responsible for the set-up and organisation of korfball events in Europe. He served the IKF in that role for more than 13 years. In total he served the IKF for more than 20 years – since 1985 – on many occasions as jury member and IKF Coordinating Officer. In the General Meeting 21 January 2006 in Utrecht (NED) Mr Jan Fransoo presented him with the Badge of Honour. Jaap Oud was involved with korfball over many decades. He served his club, Groen Geel, the KNKV and the IKF – i.e. the korfball community – with great dedication and commitment. For all his professional, volunteering and political activities he was knighted by the Dutch queen. The IKF has lost a man with great commitment to education and development of national / international korfball. We send our sincere condolences to his wife, Jeanet, children and grandchildren. The Dutch youngsters, with Leon Simons, – former Dutch international – as coach, proved in all matches high quality qualifications both technical as tactical. The U19 KWC final showed quality korfball between Chinese Taipei and the Netherlands. At half time – after 20 minutes real playing time – the score was 6 – 13 and the difference was made as result of high scoring percentages of the Dutch team. In the second half the Dutch players continued their excellent match and extended the lead. The final whistle by referee Peter Busik showed 16 – 28 on the scoreboard. The Netherlands wins the U19 Korfball World Cup 2017.